WAM have proudly announced the launch of New Noise Collective. 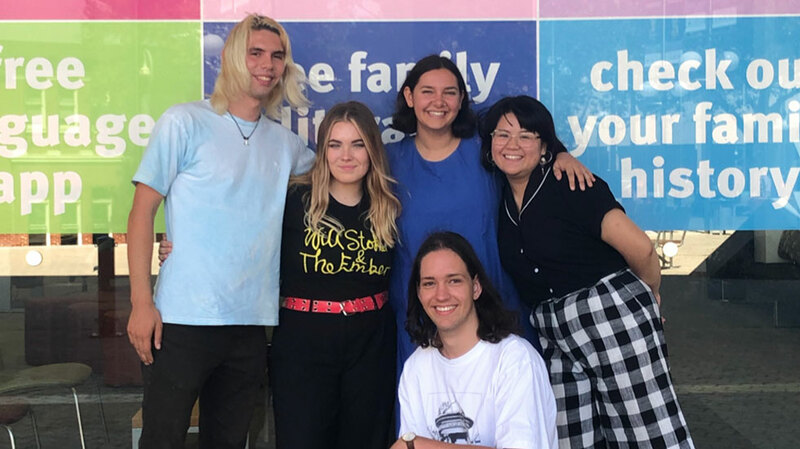 Presented by Act-Belong-Commit, New Noise Collective is a brand new initiative focused on nurturing and growing WA’s all-ages music scene. Led by a small group of passionate young people (aged 16 – 20), the Collective was brought together by WAM to develop and implement practical ideas to strengthen WA’s youth music scene, including organising and promoting events that help connect young crowds with emerging WA acts. This initiative forms part of WAM’s New Noise Audience Development Program. The New Noise Collective is proud to launch its first series of events, the Library Sessions; a series of free all-ages live music performances held at the State Library of Western Australia. 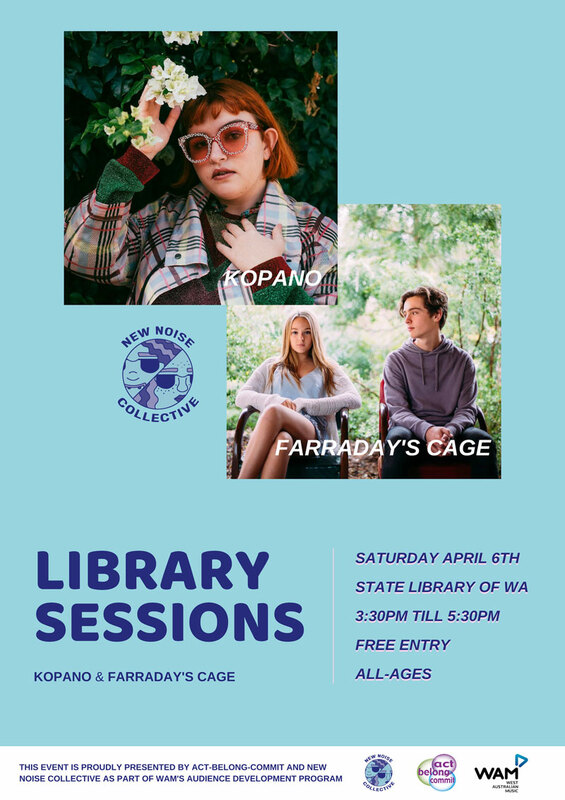 The first show kicks off this Saturday, April 6 and features live performances from synth-pop artist Kopano and soulful young blues duo Farraday’s Cage. The New Noise Collective launches their Library Sessions on Saturday, April 6 at the State Library of Western Australia.